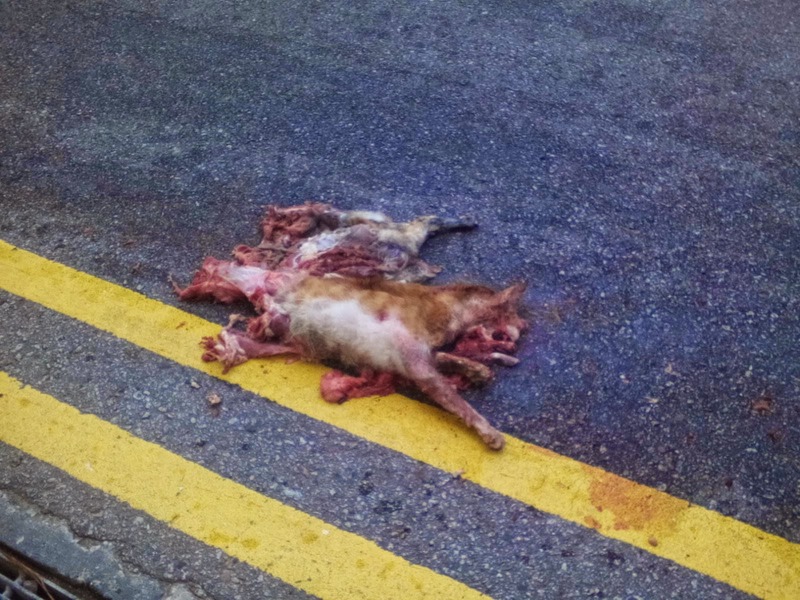 Hit & Run accident involving a adult cat named Hong Hong. 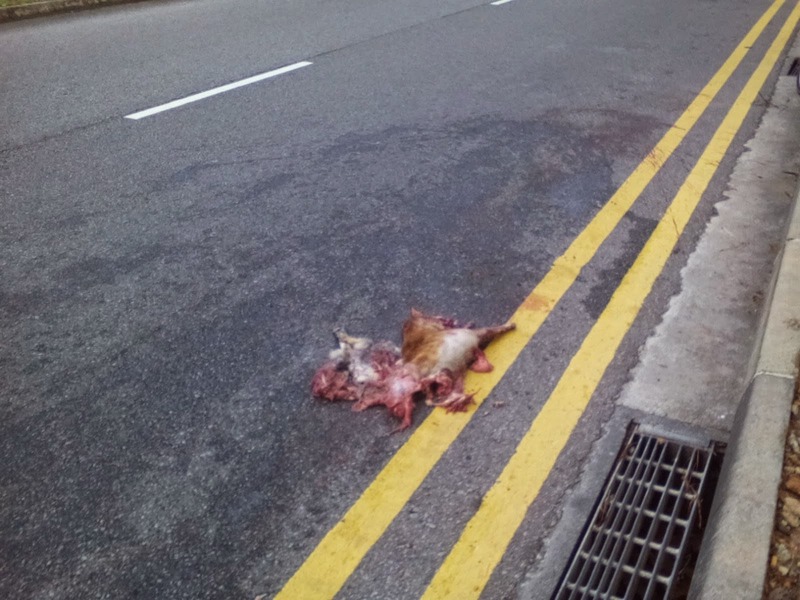 Suspected cat was knocked down before 9am today 28 Aug 2014. 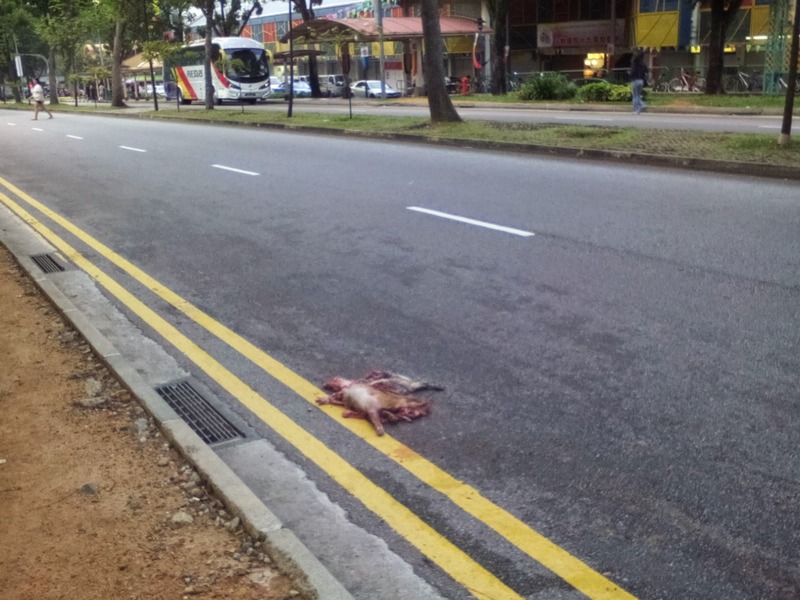 (Thursday) by a vehicle between Boon Lay Shopping Ctr and Boon Lay NPP (neighbourhood police post). See map below. Based on photos , hong hong was probably dragged for a few meters before he died on spot. All his organs are exposed and very unsightly. Flies/maggots are seen feasting on the fresh organs that were protruding (pls do not watch if u are fearful of blood and bloody parts). the accident that took place on 28 Aug 2014, Thursday between 6-9am. Pics below are very bloody, pls do not scroll down if u are having your meal. Otherwise the next time you will not order meat.